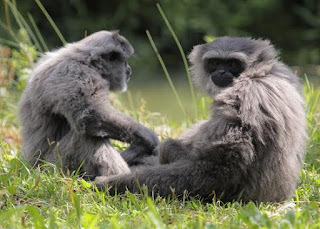 In 2003, the Owa Jawa Foundation and the Great Hall of Mount Gede Pangrango National Park with support from the University of Indonesia, Conservation International and Silvery Gibbon Project carried out a rescue and rehabilitation program or commonly called Javan Gibbon Center. Located in Resot Bedogol, this program rehabilitates Java gibbons from the community and returns to their natural habitat. Educational activities to schools and communities are also conducted so that more people will know and preserve this species. Until now there are 20 individuals who have rehabilitated Javan gibbon, consisting of 10 males and 10 females.